I’m back on our beautiful Earth, thanks to all of your prayers and positive messages. I’m in Star City in quarantine for the next few days until I get back to DC to launch an exciting chapter in the X Prize Foundation concerning a prize for Genomics. On the 28th, we had a schedule shift onboard ISS. Our normal wakeup time was 4:00 am but on the 28th, it was moved to 9:00 am. Of course knowing that this would be my last day on ISS, I could not waste it sleeping, but fatigue took over and forced me to take a four-hour nap. I woke up at 5:00 am and got ready to finish the last item on my list, the Educational Experiment video. The rest of the day I had dedicated to just watching the world go by and floating around enjoying weightlessness. My heart was in my throat and I could not stand still. I eat when I’m nervous and before anyone woke up I was scavenging in the Snack containers looking for stuff to eat… It was only 5:30 and Misha graciously had offered to help me with videotaping the demonstrations at 7:00, so I had one and half hours to kill. I kept on eating… Cereal bar… Cookies… Dried fruit… coffee… almonds…. chocolate… Okay, I figured if I continue eating like this I will be in trouble sitting in the capsule for almost 8 hours. Everyone was still sleeping so I went to the window and gazed at the Earth slowly gracefully rotating underneath…. Whatever it was, it calmed me down completely. I could feel warmth from the blue-white glow of the atmosphere and it was warming my heart. I remembered an ancient Iranian tradition. On the last Wednesday of the year, Iranians celebrate the coming of the new year. One of the things they do on this day is jump over small contained fires they make using tumbleweeds. Yes you read it right “Jump over fire.” Okay, I know it is not the safest thing to do but it’s a tradition that’s kept alive from ancient times. I guess it is the Iranian equivalent of fireworks ;-). This may have been the last mission for Pavel Vinogradov and Jeff Williams, and even though they were ready to go home and reunite with their families, part of them knew that they were leaving something extraordinarily beautiful behind and it made them a little nostalgic. The day went by so fast and before I knew it, it was time for us to go to the Soyuz. I was returning in a different capsule. This one was the one Pavel, Jeff, and Marcos Pontes (Expedition 13/Soyuz TMA-8) had flown to the Space station. My seat liner and Space suit had already been moved to this new vehicle and Pavel had packed all my stuff the night before. The habitation Module was also packed with garbage and waste. During the last stages of flight, when we de-orbit and head back toward Earth, the Habitation module is jettisoned and burns up in the atmosphere with all the stuff in it. After a quick goodbye on camera and a teary eyed goodbye off camera, we all got into the capsule and Misha, Mike, and Thomas closed the station hatch behind us. We also closed the Soyuz hatch on our end and as soon as it was closed we noticed a picture the Expedition 14 crew had taped to the inside of the hatch for us. It was a picture of the three of them waving goodbye looking dawn into the hatch. It made all of us laugh and started our descent in a good mood. The next step was a lengthy hatch leak check to make sure there was no pressure leak on the hatches between the capsule and the station. Meanwhile we started putting on our space suits and prepared to enter the Descent Module. After the leak check was successful it was time to close the hatch between the descent module and the habitation module and perform another leak check. This is done to make sure that after the Habitation module is jettisoned, we could land safely at the appropriate time. Some time ago, one crew had to stay an extra day in orbit in the Descent module after the Habitation module was jettisoned. So it is important to make sure that it is a safe environment to stay in, if a malfunction arises. The last few days of the flight, every crew member shared stories and experiences regarding landing. Their descriptions and advice about landing was consistent with what I had been told on Earth by other astronauts and cosmonauts like Peggy and Yuri. “It is going to be a rough landing… there will be a lot of motion during parachute opening and a very big impact upon touchdown…” They also advised me on how to best prepare myself for the impact in each situation… I had reviewed all the procedures and I was ready. The first stage of descent was slowly backing out from the station, which gave us a beautiful view of our home in the Cosmos. Then we started getting to the appropriate orbit for descent. As we started getting close to the de-orbit phase, Jeff told me to get ready for our roller coaster ride. He reminded me to tighten my straps when the G forces start building up and to make sure I’m glued to my seat with all my abdominal and thigh muscles tightened up to slow the blood from draining down from my head. He reassured me that he would announce every stage to prepare me for what was coming up… and he did. Pavel would announce each stage in Russian and Jeff would re-announce it in English and gave me a quick reminder of what to do. The first significant thing that happens during de-orbit is the Habitation module jettison. Jeff reminded me to make sure I keep an eye out the window to see the orange glow as we entered the atmosphere and before everything goes dark again. The Habitation module jettison was pretty smooth and uneventful. I was feeling the G’s now. It felt similar to what I felt in the centrifuge but 2 G’s in centrifuge felt much less than 2 G’s descending… I was strapped down so tight that I felt my shoulder bones could break. Every time Pavel would announce the G loads, Jeff would announce it as well “2.2 G’s… 2.5…. 2.7… 2.8… 3 G’s…” Wow! my face was being stretched in all directions. I must have looked really funny… I tightened my stomach muscles and tensed up my whole body, as though I was in the Centrifuge simulations. I had done 8 G simulations without a problem, but 3 G’s was feeling like 8 G’s already and I was wondering how my body would react to another increase. This is probably the most violent part of the descent, next to the ground touchdown. The parachute has three stages. The first and last parachutes have the biggest impact. Our seat was then raised to prepare for the final stage which was landing. This reduced the small space we had in front of us to an even a smaller one. Jeff and Pavel announced our descent from 3,000 m down to 200 m and then the BIG impact. We hit the ground so hard I though we were buried in the dirt but then we had a little bounce and rolled to one side. When we hit the ground, I felt like a million needles were pushed in my back and felt an intense pain. The feeling stayed for little while until we rolled and my back separated from the seat, then the pain started going down. Pavel checked to make sure we were all okay… I said everything is great… and thanked him for a great landing. Jeff did the same thing and as we were hanging upside down in our seats we stretched our arms out and put our hands together to celebrate a safe landing. The cabin started smelling like burned wire from the burning in the atmosphere. The capsule was still very hot. The search and rescue team was on its way. After a few minutes I heard a knock on my window. The search and rescue team had arrived and they started opening the hatch. Jeff reminded me to take it easy and not do any sudden movement and to keep my head straight to minimize any motion sickness. The hatch finally opened and the smell of fresh crisp morning air overtook the smell of burned wires. When I started breathing and smelling the Earth, I felt good. It was good to be home and in a few hours I would be able to see Hamid and talk to my family. I was not sad anymore. My heart was filled with joy! My journey had ended but my quest to open up the gates to the universe for everyone else has just begun. I thank you from your mother country and really want you developed your job and be the first lady (Persian) all around the world. I appreciate you from all Iranian engineers’ specially civil engineers and construction companies. Tus palabras en estos 10 días, me hicieron viajar. We are glad that you return safely. Waiting to hear more experiences….. I admire you very much, greetings from Dominican Republic. I hope the best for you, and there should be more persons that have this clarity of mind for the common good. Welcome to our home planet! The last Wednesday tradition seems to be too different from what it had been 20 years ago. Unfortunately, as long as I remember, it’s replaced by detonatation of some materials that make too loud sounds. Of course, it’s not a good experience, but I hope one they you come and see changes here! May I be the first to welcome all of you back home!! Thanks for sharing your amazing experiences! C O N G R A T U L A T I O N!! I believe that in the world of reality; we should live real. I’m a 22 year old girl, a university student in Iran. I was a child like all other children I had my childhood dreams and wishes. One of my wishes was being a spacewoman. I loved to be and even I wrote a story about it in which I was the central character. I’ve my wish at this time but not by spending lots of money, I want to be by my knowledge and my education. I don’t want to be a tourist of space. I’ve read your purposes of this trip. I’m living in a society that there are so many children who don’t have new cloths for going to school, I see those who their biggest wish is to have a favorite meal just for one time; I can see people who don’t have any shelter to spend the snowy and rainy days and nights. By looking at these people’s life I prefer to let my wish just remain as a wish or dream. I don’t try to come it true because when I help others to reach their simple wishes I can reach to all of my wishes. This is more pleasurable and enjoyable for me. One of your goals was to reach the message of PEACE in the world. You could find your message here on the earth not on the space. Your daily notes don’t help others to find the best way for their life. They just show that when a person has lots of money he/she can live like a star in the world. She can spend all her money on everything she wants both reachable and unreachable. Yes it’s true that a rich person can make impossible things possible. You have proved it by your outstanding work. This is not PEACE which you were searching for. There are other sources which can help us to understand what the space is and what the space like. At the end I’d like to thank you for showing (discovering) a new way for spending money to rich people. Anousheh, you are an amazing person…and I might add a great writer. Welcolme back to Planet Earth…we all admire you and look forward to your/and your firms…next space adventure. I look forward to reading a report (or book) that you can expand on all of your thoughts of humanity and this planet. Thanks for who you are. Your Experience was so totally wicked!!! I wasn’t bored at all! Lol so it smelt like a burnt almond cookie? Just finished reading your re-entry story. I felt like I was on the descent module with you. Congratulations on your accomplishment. Welcome back to Earth! I’m so happy and very proud of you. Thank you for improving Iranian’s prestige in the world.I wish I could meet you. 1. were you able to observe any other objects in the space other than the planet earth far far away? Could you see the Sun, the stars and the moon just as we do from earth? 2. you mentioned G loads, how does it feel at that point where you leave the atmosphere in to the space where you don’t feel any gravitation, was it a jolt? anything you could feel? I am sure you’ll need a lot of rest in the days coming up, but I wanted to say a big “thank you” for being so inspirational thus far about everyone being able to go tour the space one day! fekr konam alan dige mano beshnasid ,chon kheili baratun peigham ferestadam.kheili khosh halam ke be salamat be zamin bargashtid. khanume ansari lotfan man ro rahnamaei konid.man reshtehe omran mikhunam.yeki az arezuham ine ke 1 ruzi yeki az mohandes haie ASCE (American Society of Civil Engineers) besham va boland tarin borje donya ro ba name iran besazam.motmaen hastam ke 1 ruzi mitunam.to ro khoda man ro dar in rah ba nasihat hatun rahnamaei konid. I am so glad your back save and sound. The impact your trip will have will be a lot grater than your landing. You have given so many people hope and an example to live by at so many levels. And as a side note you landed on my grand daughters birthday. I was referred to your blog by an “Of Human Interest”article in this morning’s Indianapolis Star newspaper. Indeed the earth is a one small place from up there and up here, if we can visualize it. Please keep sharing your story to make our earth a better place to live for all of our children and us! Thank you for sharing the details of your journey, Anousheh. Welcome back. Great things happen to people who do great things. You are an inspiration. You should have become a writer rather than bussiness woman, what a nice warm fluent text. I wish clonning technology become available to human easily and safely to replicate at least some if not all of your precious genes. P.S: How is Hamid, I saw in the pictures his beard is growing grey out of anxiety for his loved one. You are the first astronuot who shared experience. I felt like I was in the module. Thank you so much and warm welcome. Thanks for sharing your space experience with us all! Congratulations on this great accomplishment. We are very proud of you! You changed the history, one more great accomplishment for Iranians! My family and I followed every step of your journey, Thank you for keeping us posted with your detailed notes. I think if every-one was to put politics aside it would be a great world,for man kind and women kind thank-you very much .Your very BRAVE. Thank-you for telling your amazing story, Please don’t stop dreaming,you made it true… God Bless. Thank you for helping break the barrier for normal people to be able to go to space. I am now too old to go to space. I hope my children or their children will one day be able to go to space thanks to your pioneering effort. My family and I have been tracking your story of space trip in the local TV news channels. We are proud of you for your courage, vision of future & detrmination for success. We hope that you will be able to set a time and place of your choosing to meet up with your fans here in Plano soon. Thank God for your safe arrival back home….Seemean. I read about your story and saw some of your videos of you in space on YouTube.com. I also read a lot about you from the news and Wikipedia. I was moved to tears by your expressions of fascination, joy, and love while in space. I have a deep respect for you as someone that supports scientific progress and scientific education. Your role in propelling further exploration of space and beyond cannot be understated. I think you set an outstanding example for other women around the world to show what achievements can be accomplished if motivated. I feel incredibly grateful to be living in a world where someone such as yourself exists. Welcome back to planet earth. The ride down sounds much more stressful and demanding than the launch, which I think will come as a surprise to many of your fans. You are a real hero (or maybe heroine is more appropriate ! Your journey was obviously an incredible experience for you personally, but it has also been a thrilling few days for those of us who followed your progress and particularly your blog. You said at the beginning that you had never written a blog before, and you were quite a private person, but I can safely say that this is one of the most remarkable accounts of a spaceflight ever written. The depth of detail, the feelings, that you shared with us all have given us all an insight into your experiences which I, at least, am truly grateful. Your writing style made me, and I’m sure many others, feel that they were reading an e-mail from a friend. I would really love to talk to you for the UK magazine ‘Spaceflight’ – we’ve already published a news story for the next edition – but I have many questions I’d like to ask on behalf of the readership. I’ve already been in touch with Erin Podbereski at Jensen Communications and hope that when she passes my request on, you will be able to accomodate us. I’m sure that your period of recovery at Star City will be brief and that you can travel back home to your wider family very soon. They must all be so proud of your determination, courage and the impact which you have made on so many people, in so many countries. You have etched your name in history, and there will be many of us watching your remaining dreams unfold in the months and years ahead. ………….and I think the seat on Soyuz TMA-13 still has your name on it………. i prode for your scintific travel to space as the first iranian women. You are opening a new chapter of the space history with this experiment and by your futur actions… You wish to offer the possibility to other people to have same experiment will also be part of your mission on earth… Be carrefull because that part will be very long but it will be a passionate story… Try to keep only people which have a good soul or people deserving it. I followed your journey step by step. Many thanks, sharing it with us. I have a bright daughter, her name is Tara. I am proud of her and I am proud of you. World needs more people like you. Good luck in future journeys to where ever that may be. Thank you for sharing your experiences. You have done wonderful things up in space, and I sincerely believe you will continue to do wonderful things on earth. Your journey was amazing and brought to life by your wonderful descriptions. Congratulations – you are an inspiration! I don’t know how to explain my feeling when I knew that you are on your home planet without any problem…! I can just say that it was one of my best moments in my life! you don’t know how happy you’ve made me by writing on your blog yourself and from your home planet:The Earth! IT’S OKAY FOR ALL IRANIAN PEOPLE IN WORLDWIDE. DEAR ANOUSHEH,THANK YOU. YOU ARE OUR PROUD. Congratulations on your return !!! I haven’t commented in your blog yet however I have been reading it from top to bottom these last few days. I’m sure there are millions of other people that just read your blog and just the few (hundreds 😉 ) who leave comments. Your paint a very inspiring picture of your space adventure. I’m amazed at the little details you manage to write that make your recounting seem so vivid and personal. In all honesty I have never felt so close to space. You changed my perspective of the way I view the stars and for that I thank you. You should think about writing your biography as somebody else asked.. You’re a wonderful writer. I am waiting for more descriptions from you, thaks for the blogging. It was great to hear you made it to the space, since it was one of my own childhood dreams to float in the starry skies at night. I feel really excited that my class mate has been the first Iranian and woman to do such amazing trip to the outer places around the globe! wish you good luck and health always. Hello from Winnipeg, Canada. Welcome back to Earth. Bienvenue sur la Terre. It was exciting reading your blog and watching NASATV. Thanks for sharing your experience. Feels like I was there too. Maybe one day I’ll have a chance to go up too. Good luck in the future. Bonne chance! Like riding on a falling star, you found your way back to Earth. Wow, 3.8 G’s sounds really heavy! How did it feel to be in gravity again? Tiring? I found this very applicable on your past adventure! And now that your journey is over, you can say: I did it…my way! it may be unbelivable but I really felt the pressure when I would read it….. it means you really write powerfull that the reader may feel it…..
thanks for sharing your experience….the experience which is lots of others’s dream either like myself! Thank you so much for sharing your experience here! It’s truly inspirational – I personally can’t see myself ever getting to space, but I guess we all have our own great unknowns to conquer. Congratulations from Taiwan, and welcome home! Salam dear Anousheh, Great Irandokht! very thanks for this interesting note. also a special thanks for imply ancient iranian tradition, “4shanbe souri”. i enjoied of your modify in iranian song. this is a excellent feeling. Thank you for sharing all your experience and setting an example – I am sure it has been so inspirational to the entire world. mano bordi be hamoon fazaa… khosha be halat. to elhambakhshe hezaraan irani o gheire irani hasti… baraye to arezooye moafaghiate rooz afzoon mikonam. Thanks so much for these detailed reports of your travels. I was just thinking as I was reading, “This is more fun than Star Trek.” And that’s probably because it is real. * que tu as le don de trouver les mots justes. Beaucoup d’intervenants ont fait le même constat. En dix jours tu as fais provision d’émotions, de beauté, de plaisir, d’émerveillement, de rire surtout, je suis sûr que tu peux en écrire tout un livre ! Je suis même presque aussi certain que tu peux le traduire toi-même en français ! Tes mots, tes écrits sont une porte ouverte vers cet infini, mystérieux et fascinant. A bientôt magicienne de l’espace. A great person has said that, “Once you make a decision, the Universe conspires to make it happen.” Your successful journey to space was the consequence of the decision that you had made, and you just showed the world that man could achieve anything if the desire comes from the bottom of the heart. hello and welcome home. my name is colin debrucha and have just started my own adventure of leaving home in ireland to move to the united states to pursue my doctorate in experimental oncology. Before reading your blog i taught i was far from home. while reading my body was covered in goose bumps and the hairs on the back of my neck were standing. your vivid description allowed me to imagine my dream coming true and traveling to space,when you mentioned landing in the desert and looking out the window was as if i was there. strange i know but you are an inspiration to me. you followed your dreams and now plan of allowing many others to follow theirs. some day i hope to be one of them people,to stare down from space upon our beautful world. someday maynever come for me but i will always have my dream and your descrition makes that dream more real. thank you so much. i hope all is well and that anything you plan on in the future works out. i live by the motto ” always use obstacles in life as stepping stones to what you truly want” many obstacles may lay in our way but when you see people like you over come then it gives the rest of us strenght to at least try. С возвращением на Землю, Анюша! I will be waiting you book with many fotos and maybe DVD! I was thrilled reading your post .you are an inspiration . Welcome back.It is a great pleasure to have u back on earth. I have sent a couple messages for u & to be honest with you, I was not planning to send u any more messages. Not because I did not want to but just reading all these e-mails(some of them ofcourse!) every single day, it brought so much joy that I was fulfilled. BUT I could not resist it after reading an e-mail from a fellow country woman who claims that she is 22yrs and goes to University. It really pissed me off cause I just don’t understand how some people are so selfish… I only came across a few, very few comments from people whom did not appreciate your journey…. These few e-mailes were full of ignorence!! !How do these people know what kind of a person u r!! They are accusing u for not helping the poor in this world. I just don’t get it. Before they start judging others, they should judge themselves first!!! We all work hard, suffer, laugh and cry in our life time for many reasons. U among many others, have worked, sacrified your life to reach where u r in this life time. SO good for u & more power to u. Sorry for my frustration but I just can’t understand why we can not be happy for each other rather than sending bitter messages!!! Thank you so much. Ever since I was a child, I have followed mankind’s explorations into space with a sense of wonder. Of all the thousands of articles, books and videos I’ve encountered, the ongoing story of your adventure is the only one that has left me in tesrs. Tears of happiness. And I see that I am not alone in this phenomena. I think it is because in these dark times you have somehow become an avatar of so many hopes and dreams of how the world should be and how it *can* be, if we put our energies into positive things. The old proverb “It is better to light a candle than to curse the darkness” seems so very appropriate right now. Thank you for bringing healing to my cynical, bitter old heart. Hello and welcome back!! I just finished reading your description of your return trip and almost cry of emotion. What you did is a dream i have had all my life and reading your experience made me feel a lot closer to my dream, although I would not know how to make it true, just writing to someone that went to space already makes me feel that it can be done. Thanks for making me feel this way!! I did not know you were writting your experiences and just found out today and inmediatly read the first one i came up with (your last), so I will go on to read the rest. Just took the time to thank you and can´t wait to go back and read the rest. You showed the world a great effort and also showed that Iranians can be friends to Americans. You have done a lot in your life and should be very proud. I hope that all Iranians can take pride in you as can all Americans. Welcome back home ! I can see how your soul shines and feel the warmth of each of your words I have been follow your adventure since the beggining and wishing you a safe return, the description of your beautiful memories adventure will stay with me for the rest of my days. thank you for being such a great inspiration for me. amor y paz en la tierra. اي کاش يه قسمت از وبلاگت رو فارسي مينوشتي تا همه ايرانيهايي که مثل من هستن بتون رهاورد سفرت رو به راحتي بخونن و لذت ببرن. چون راستش رو بخواي خيلي از ما تو ايران انگليسيمون خوب نيست. منتظر نوشته هاي فارسي شما هستيم. در ضمن همه ايرانيها به تو افتخار مي کنن. I have followed your exploration of space with great interest. You are indeed an aviation and space pioneer. I salute your many accomplishments on the ground, in the air, and now in space. I am proud of your accomplishments that generates more interests in space explorations. Welcome home! It was very interesting reading about your experiences. Thank you for sharing them with all of us! Thank you for sharing your experiences with the world Anousheh. I disgree with the young girl Iranian University student who thinks this is a way for someone to spend too much money. I too have seen poverty, been in poverty without parents (the middle east is not the only poor place in the world) but I think that your story inspires people. I have climbed out of poverty and fear because of people like you who share their stories. I am now an educated woman who attends University of Michigan and am working on a master’s degree in science as an oncology nurse practitioner. I have a family, children and a career and am doing what I can to make my part of the world better. Keep sharing your accomplishments. It helps so many! That brought tears to my eyes! I can’t even imagine how incredible that must have been! Welcome back! Hi Anousheh, welcome back to Earth. Thanks for the blog I can almost feel the experience. That was an exciting descent and landing. Very proud of you. I am glad that you have continued with your blog. Thank you for such a vivid and uplifting account of your journey. I teach young children and we use the Internet to help shorten the miles between countries…who knows where YOUR journey will take them…things change so fast now, that this type of excursion is very likely something to be considered for their futures. I wonder what it will mean for mankind. My prayers are that it will be for the good of all. Great Story. I wish I could have been there. Today I opened my computer’s Yahoo page to see a story about you on the front page. No words can express the joy I feel knowing you made your dream come true! WOW! I am amazed, you give me strength to realize my own humble dreams. Perhaps I can make bigger dreams, too. Congradulations! Thank you very much for your blog in English. It is very inspiring! I am forwarding this link to all my female friends. You are a truly amazing and incredible person. Thank you for letting the world in on your wonderful story. In the past 3 years, I started to suffer from panic attacks, which have had a negative effect on my lifestyle. I am scared to get on planes to travel for business or see loved ones. Your story shows courage and determination, as well as a sense of humor. It has given me newfound strength in dealing with this problem of mine. Thank you again. Welcome home and thank you for the wonderful and vivid experiences you have shared. I must also disagree with the Iranian girl for her comments and opinion. I think you can best summarize the experience as not just personal but as Robin stated – an inspiration. I’d rather spend $20-30 million dollars to inspire people than use it for monetarily relief. The experience and inspiration Mrs. Ansari brings to the world and its less priviledge will provide more than the money she has spent. Goals, inspiration, and opportunity to others is lifelong. Money is not. Excellent blog and wonderful woman, thank you Anousheh Ansari. there was a reason you were chosen as alternative – I know that. You are amazing! A true inspiration to all! I love reading about your experiences – I can only imagine. What a dream come true. Thanking the stars for directing you home!! Glorious days have come and gone for you, but your memories will always stay with you. Thank you for sharing them with us. You have accomplished an amazing task for this world. I’m sure there are a lot of people that wish they could of had that same life experience. Everyone has dreams and this just proves that if you want it bad enough somehow it will come true. So to all of us out there be positive… DREAMS do come true, it may not be today but ONE day! Congratulations on your wonderful trip and your safe arrival back on mother Earth. I have been reading your blog and I am impressed at how brave you are. Thank you for giving us the “regular person’s” perspective of what space is like. Welcome to the history books, Anousheh. You will be remembered for all time now for making the first major step which will bring us all into space in the years to come. In the future, when I take my trip into space, I will have you to thank. Bless you for all you have done. CONGRATULATIONS & welcome back home! You are a brave and amazing woman! All the best from Bosnia & Herzegovina. Congratulations and thank you for sharing the most wonderful thoughts. By taking this journey, you have opened the eyes of many people in the world. We are proud of you and wish you the best of luck in future.You are a great role model ! You have made a wonderful contribution to the world thru your space travel and blog. I am especially proud also, that you are a woman! I hope your experiences will revive space travels and one day anyone who wishes can take a space journey. Any work you do towards this end will benefit all of EARTHkind. I just found your blog! I’ve always been fascinated by space….I feel soo happy for you! You got to see and feel such beautiful sights and things. I felt I was there with you. Thankyou for that from the bottom of my heart. Lots of love and luck to you. Congratulations on your safe return trip from space. Welcome back home, to our planet Earth. Thank you for sharing your experiences amongst the stars. I am so proud of your accomplishments and what you stand for. You inspire me to become a better woman and give me hope that dreams really do come true. Thank you also, for breaking the stereotype that still exists for women around the world. May you continue your life in a gradual ascent back to the stars even though your feet have returned to solid ground. I picture everything you wrote about your landing. All I can say is that you are very brave and unique. Bravo and ZENDEH BAD ANOUSH! Thank You!!! The descriptions of your space experience enrich my knowledge and I will share your experiences with my elementary students in Albuquerque, New Mexico, USA. Congratulations and continue writing your daily life in the space. It’s amazing! I am a native of Honduras, Central America. You are amazingly brave. Thank you for sharing your incredible story and congratulations on your success! Wish you all the best, very happy to hear you have returned safely. Thank you so much for sharing with us! It all sounds so amazing! You really are living the dream! Beauty, brains, and bravery, what a glorious combination. I don’t know why you were not allowed to speak Farsi but the Iranian people must be proud of you, and we are proud of you too. Does space really smell like burned almond cookies? I never burn my cookies so I wouldn’t know the smell. You had a wonderful oppurtunity and experience and your prose brought it back to earth. Congratulations. Anyway I am happy that you have passed that stage of your trip successfully too. Hope to see you in Europe soon. Thank you so much for sharing your experience with the world. We watched the landing live on NASA TV. It probably was the longest 10 seconds to hear the confirmation that you guys are OK.
Now your adventure on earth begins.Enjoy every minute of it. welcome back to Earth, a great inspiration! Wow, I can’t believe you wasted so much money that could have been used to feed the hungry. Congratulations! Thank you Anousheh for keeping a great blog. It is a great inspiration for me. God bless. Anousheh thank you for sharing your experience….Congratulations…. Thanks for your story. I wish you well. Welcome home! Thank you for sharing your experiences. I have been keeping up with developments in space travel for several years. The Ansari X prize certainly has raised the interest many people. I had the opportunity to hear Burt Rutan’s speech at the EAA flyin at Oshkosh last year. I hope that during my lifetime I will be able to travel into outer space like you. You are very brave and couragous. I admire that very much. I must say congratulations to you and the rest of the crew. What an aspirating stance you took Anousheh. It takes those that understand the reality of the world to understand the genomic logy behind. What an entry towards the frontiers of imagination. You are the explorer of the Space touring. Your name shall be read by our children’s children. I know and understand what those that cannot stay without complaining feel and say. Anousheh, you were born not so long ago, and you found this world with its problems. Born and breaded in Africa, I am a poor man living an average life here in the U.S.A. I have seen and experienced the troubles of the world in a way that no one can say. All what I know is that these problems can never be ended by you Anousheh. Even Bill Gates, the richest man in the world has tried and is still trying. Bill Gates has done all his wishes and now is the time to overlap. Just the same with you, you are still walking over those wishes, however they shall be time when you shall settle to help the world with your overlaps. That little knowledge sharing makes a big Impact. It inspires a lot of people. The next thing you should expect to hear is a challenge by another person to make the same trip. It just makes the week to strengthen their muscles to be able to enter the battle field. I challenge you not to listen to those that have their complaints over the control of your wealthy. There are some people that can not strive for their own excellence. They wake up to just go to the streets and burg for assistance. When shall they stand up to work hard for themselves and become achievers? That is why we have humanitarian organizations to help out those that can be helped. I adore you and you are my hero. All I can say to those that feel that you should not had done your space tour is that they should also work as hard and get some millions to empower themselves to do what they wished in their lives. No one should blame anybody for doing anything with their hard earned dollar as long as it is of no harm to anybody. Anousheh, welcome home! Your blog brought tears to my eyes, thinking finally, here’s some good news after all the recent world events that have made people so sad. Thank you for bringing a little light, just as the Nelson Mandela quote describes. It’s so hopeful for everyone! I just want to say how proud I am of you and your journey. I live in Wetumpka, Alabama and have followed your journey. I can’t imagine what its like to experience the journey you have just taken but look forward to reading more of your day by day journey in space. You are a very special woman combined with an outstanding crew. I hope future journeys continue. I only wish my country USA encouraged private citizens like yourself to join in. Again congradulations please write more soon after you spend time with your family and friends. Welcome back Anousheh… welcome back to ALL of you!! Im so happy for you! Enjoy the ride! Welcome home! I wish I could say that the past few days down here have been as peaceful as they seemed to be in orbit, but your journey was well-timed in that regard. I, too, feel very strongly that you have given the world a much-needed opportunity to see what we, the world, can do if we turn aside from divisiveness and fear to embrace wonder and love, as you have. Just look at all these comments: Iranians, Americans, Europeans, Russians — we are all united in our joy, and you did that. Thank you also for being so accessible, writing this blog and recounting your experiences with such intimacy. I feel a connection to you that I think is shared by many who’ve written here. Don’t let anyone tell you that what you did was a waste: It is hard to feed hungry stomachs, but it is much harder still to feed hungry souls. I just found this blog while checking my e-mail. What an inspiration, and awesome thing to read. I am very glad that you had a safe journey in space. I bet it feels great to be home again! Your space trip, gave a green signal, that space is just ready for the population explotion ! Is it the ‘clarion call’ to send some- most wanted, rich humans to the now a little known destination. please give some more feed back to a common men. Let those experiences should be in a story type. For kids, your language should be simple and exciting ! 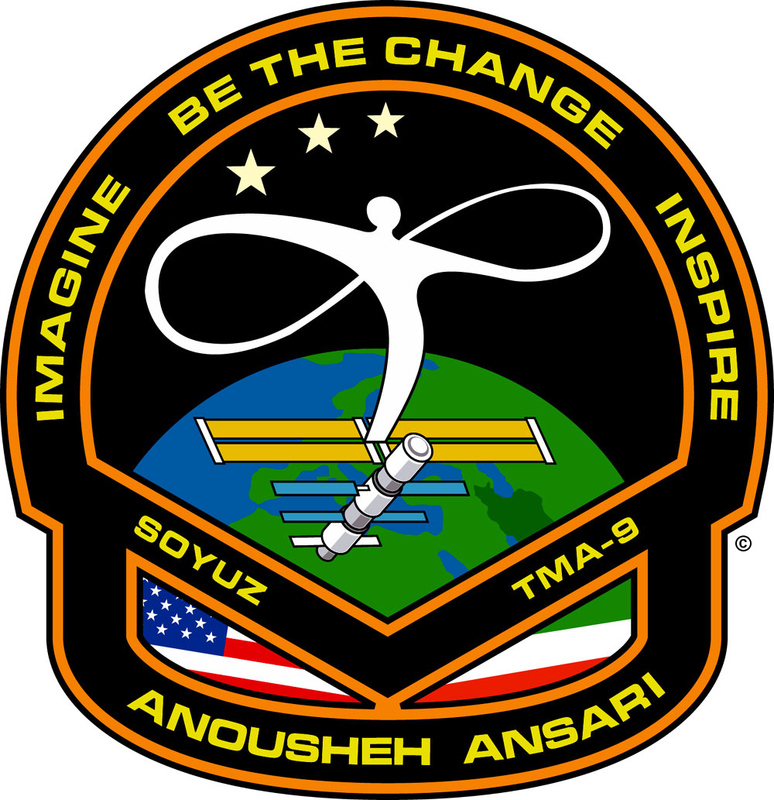 Carry on Anousheh, all the best, in your self assigned job, of making space station very very popular destination ! Good luck ! THANK YOU for sharing your wonderful adventure with us all. I thank God for bringing you home safely. I pray that many more “Civilians” will be able to follow your path in the years to come. Hopefully I will be one of them! I was not even aware about your trip. Maybe I live on a side of the world where flaunting ones richness is not an important issue. Heck if I wanted to know about the experiences in outer space I would check out the russian astronomy sites.You wasted money which could have gone to feed heaps of hugry children or animals. You went looking for peace? I agree with the female who wrote that article which was negative. Where you thinking of looking for peace with the other unidentified flying objects? After reading some of the comments people have written to you on this board I think many of the earthlings are so stupid and gullible. Man ladan zahiroleslam hastam. tashakor mikonam ke be vasileye een blog een forsat ro be ma dadid ta ehsasemoon ro mostaghiman behetoon begim. Man sale pish az eeran be toronto oomadam ta baraye hamishe eenja zendegi konam. oon delshoore ee ke too blogetoon neveshtid manam tajrobe kardam. mesle lahze yee ke nozad be donya miyad mimoone. yade sedaye avalin geryeye nozad adamo mindaze. Yek hesse na amniye amigh. Tooye zengegi barha adam een ehsaso tajrobe mikone. Harcheghadr sakht ya talkh bashe, khaterash hamishe lezat bakhshe. hamchenin eftekhar mikonam ke daram baraye een ensane shayeste message midam. Har lezzat va nemati ro ke khoda behet mide ba aghooshe baz va hayajan va esteghbal bepazir, chon shayesteye oon boodi hatman. dashtam message haye digarano mikhoondam, peyghame yek dokhtar Irani kheyli be kamam talkh oomad. midooni kodoomo migam. moteasefane kheili adama fekr mikonam khoda yek ganjineye mahdood dare ke age azash yek nafar ziyad tar estefade kone baraye baghiye kam miyad!!!!!! khoda yani bi nahayat, faravaniye na mahdood. You are an angel with incredible light! Thanks for shining brightly! Your space tour has always been one of my dreams. I would like to offer half of my life just to be there. Your idea of Spaceblog is very interesting and informative for everybody. I know how brave is your husband for supporting you before and during your space tour. When I was reading your notes I felt I knew you for a long time, it seemed to me we know each other for many years. All the best wishes for you, your family and all who love the environment. Dear Anousheh, first of all, congratulations!! It takes so much courage and determination to achieve a dream like that! I’m from Kazakhstan and so happy that my homeland has one of the two cosmodromes in the world and you were there! I’ve been to Arkalyk too when I was little. I’m also glad we have plenty of space for safe landing. 🙂 Isn’t the world a small place? Life is also so short and you inspire people to view everyone’s dream of space-travel just like the desired peace on Earth. Thank you! Girls rule! CRAZY!!! This is one of the most INSANE things I’ve ever read!! How COOl are you??!! Wow, all I can say is thanks for bringing millions of peoples dreams to life! Even though all I am doing is sitting at my laptop and reading, I feel like I just went to space and back. You are totally awesome. Thank God for someone like you to do something like this for us, and yourself of course. Madonna wouldn’t have. Congratulations, and thank you from the bottom of my heart for a truly amazing experience. God Bless and many more successful heart thumping endeavors to you!! Welcome home and thank you for your story. Do not be disheartened by the few negative comments you have received concerning the expenditure. Those people fail to see the value of your inspiration to millions of children around our world…and more importantly…the value of your multi-national experience that encourages a positive atmosphere of cooperation, understanding, and peace. For me, the honesty and feeling in your story has brought to focus that we on this planet should concentrate more on exploring our similarities rather than our differences. Your ambition, your adventure, and your willingness to share with so many is priceless. I consider you an ambassador of Earth. I wish you all the best and God bless. CRAZY!!! This is one of the most INSANE things I have ever read!! How COOL are YOU??!! Wow, all I can say is thanks for bringing millions of peoples dreams to life! Even though all I am doing is just sitting at my laptop and reading, I feel like I just went to space and back. You are totally AWESOME! Thank God there is someone like you to do something like this for us, and yourself of course. Madonna wouldn’t have. Congratulations, and thank you from the bottom of my heart for a truly amazing experience. God Bless and many more successful heart thumping endeavors to you! Thank you for sharing your experiences. The time you took to personally document your experience is worth so much more than everything we tend to see in the media regarding space. It creates an opportunity for everyone else to join you in some small way. HI, dear Anousheh. This is a great welcome back from china. I read your amazing experience and admire you so much. Hope we can know more about your experience. God blesses you!! If you did not have the money could you still go? If you did not have a good health could you go? The answers is NO–So do not be so prude of your self—God gave you this opportunity — now is your turn–thanks him now – by doing some good to under achievers(needy people) . really nice of you to blog on your experience, a good glimpse of how life in space is for a ‘normal’ person. Thank you for sharing it with us (unlike the previous space travelers), and I hope you can help more people get up there. Looking at Earth from that perspective is a privilege, reserved to those with enough money to spend. As an Iranian I’m speechless how to express my joy and my pride of having a fellow citizen like you. We all love you by heart and we are all proud of you. Thanks for sharing all the amazing moments of your unique trip with us. When I read about your first moment of crying while looking at the Earth, I could feel tears running on my face too, and whenever you were happy during the trip and wearing that beutiful smile, I was joyfully laughing too. Hamegi doostet daarim va be vojoodet eftekhaar mikonim. Paayandeh baashi. I am six years old and I wish I could go into space too. My brother has a space costume and a hat. I wonder what it is like in a spaceship with a crew. Did you go outside into space? Don’t let the person who posted comment #9 get you down. I wish her the best in her quest for excellence and applaud her for her concern for the less fortunate masses, but must offer a rebuke for begrudging you a trip to space. Your company provides jobs and I am confident that you have already used your financial success to help the less fortunate of whom she speaks. I’m a K-8 computer teacher in California USA. Our students were rooting for you and we enjoyed following your non-astronaut descriptions of what was going on. Yay for blogging! My son is 8 years old and has been following your flight into space. After you landed safely and we saw the report on television, he said for the first time in his life, “I think any dream can be possible for me now.” Thanks for inspiring the world, young and old. You are the best!!! You are a great woman because of your admireable feelings. Every word you use is from your big heart, your expressions are in your words, and must confess all come from an Iranian background. I beleive in you and your peacefull thoughts and i beleive in what is called responsibility for every body for saving our beautiful planet. You make us truly proud to be Iranian! My only wish is that my tiny tot of a daughter will turn out to be at least a little bit like you…….. Welcome back home! what amazing journey you put us all with your experience…your vivid description of the tastes, smells, and picture perfect of our “Light blue” home…make me go back to my childhood when as any child look and wonder about the black sky above us…my father used to pointed out for me the different stars telling me..”this is Mars, this one is Venus…the differents costellations…you brought me all that back…you reafirmed hope and reasurrance in dream big for my life…I always want to be a doctor….a neurosurgeon….getting older I started consider not longer possible…but after your journey…all what you accomplish in your life and how much more you want to do…the dream to become a doctor is not longer distance….for the contrary…I want to become a more useful human being, as you, maybe I can go to space to find new answer to improved our lives in our home: planet Earth…thank you for sharing this amazing and uplifting experience with us. God bless you and keep dreaming big! The evening following the birth of my daughter Maren on September 19, I was watching an episode of Carl Sagan’s television mini-series “Cosmos” which reminded me how important it is that we humans use technology not to kill one another but to explore space. I was so pleased to hear of your successful journey into space. Like Sagan, you are exciting curiousity and helping to inspire others regarding space exploration. We are all citizens of the cosmos. You have taken us one step further to that realization. On behalf of my wife Kristin, my 2-year-old son John, and my daughter Maren, I thank you and wish you well. God Bless you Anushesh and to your family. That was some Experience you had. Really Enjoyed Reading ur Blog. I Also had my own share of childhood dreams being an Astronaut and stuff. And i still wish one day Insha Allah i could be out in the space.Experiencing what you experienced Last Week. Anyway, May GOD Bless u in ur future Careers. hope you will continue to keep open this important gateway for us. is it possible to let us know how we can send you some files and photos. god keep you and your family safe and healthy. What more can we say..you are awesome!!! Anyway, I didn’t mean to leave a comment and write all about me. I just want to say ‘thank you’ for at least making me think a little this morning… And for sharing your experiences in space online so other people can read, understand and feel some of the things you felt. Absolutely amazing. Here’s wishing you all the very best, whatever you do now with your life. it does not matter where you were born..it does not matter in which country you belong..
the matter is you are the woman ,strong and (Jasour),you are the lady that knows what she want from her life and she our ladies in my country in Iran must see you and hear you. WelCome back home. when I am a chiled a saw star truck and then star wars series, I trip to space in my dreams. but when you gone to space I an my wife follow your journy and then you share your sense in space with us, now I feel not only you but also every one that read your blog goes to space.Now people that read yor blog knows LOVE and PEACE in world can get very easy and I hope your trip to space is starting a new world without fate and war. I hope. All Love to you, and Congratulation to your breavest trip to space. I hope your tip be a Peace trip to world. “Experience finds those that explore the unexplained. Thanks so much for sharing this with us . You have brought it alive in such a fabulous way . At my age it’s doubtful i will ever get the chance to do what you have done but you have been my proxy and that is cool . When i was a little girl i used to wonder where i would come to if only i could but set off walking into the heavens . I could almost smell the earth through your description . Once again , So many thanks . Firstly, congratulations on such a fantastic experience. I’m sure this will be the start of many people traveling to space, inspired by your journey. Thankyou for your very interesting record of your trip as well. It has provided interesting reading to many around planet earth. Wow – what an amazing journey ! I am so glad that, as one of he priviledged few fortunate enough to travel into space, you are sharing your experience with those of us who will never view our beautiful planet from such a vantage point. I would be interested to know how it felt to physically see the world as one whereas here on earth we live globally under different beliefs and within man made boundaries and prejudices whereas the reality is we all belong to one very beautiful planet that must be looked after and its inhabitants cared for. Makes the world seem less complicated than we as humans make it dont you think ? I will look at your future blogs and see whether you had anythoughts of this sort on your trip. Congratulations on a magnificant adventure. It was so nice that we here, a person without any relation to any culture, any country and also sexuality has the power to go to the space by her/his try and effort. I think all the people round the world are proud of you. After that, I, as an Iranian woman at the same age of you, well educated and living in Iran want to say congratulation for all of your effort in your life and thanks to all people, all Iranian, American, Russian and ….that give you this chance and opportunity to do what ever you want, especialy yourself!!! I hope you could be as a couch/teacher for all Iranian young people who are trying to find themselves in the world. That was a beautiful story of yours. But I don’t see any encouragement here as what your objective in this flight. You just made us mouth watered on your experience. I agree with the Iranian student, there are many ways to spread PEACE on earth. Spending millions for such a journey even though you can afford it, isn’t practical. On this time where lots of people are starving to death, no one has the luxury to waste the resources you have. I could only sympathize with you in one point, that is “you conquered your childhood dream” nothing more. MY mother and I were extremely worried about your landing . my mum was praying for u during your trip and we read your weblog everyday …. it was wonderfull ! u did your best …..
از اینکه سالم پایین آمدی خیلی خوشحالم، وجود تو واقعا مایه افتخار ما ایرانیهاست. سعی کن با موسسات علمی ایران در تماس دائم باشی تا جوانها راه تو را ادامه دهند و سرمشقشون باشی. در اولین فرصت سری به ایران بزن . I don’t know and realy very hard for me to express my feeling and just I can say that we alive Iranian those who will be born from now on will be much proud of you and wish you all the best and expecting you to never forget your nationality and us. Whomever said (the future is not ours to see) was mistaken since you have firmly established that dreams accompanied by hard work characterized by enthusiasm can take us any where….even the stars. I have spoken to a lot of women in Iran and truly, they are all mesmerized and enticed by you, which is a very good thing and must not stop!!! You are our hero and a symbol for all good things and if, “the world a stage and all men and women merely players”….then I must say that you have surpassed your role. May you always have the energy to fullfill your dreams, which I have this strange feeling that this is only the beginning. Thanks you SO MUCH for taking the time to write (type!) your thoughts and feelings from your experience for us of all to enjoy. I have loved space and astronomy since I was a young boy (I am 30 now!) and reading your blog makes me feel like I am up there too. No doubt your trip and your X-prize work will encourage many bright eyed young boys and girls to work hard at school, study the sciences and continue down the path you have helped open up. Your blog entry from a few days ago about how from the ISS the world has no borders, just people was great. We can only hope that everyone from your average joe to world leaders will take the time to acknowledge that perspective and treat all people like equals. Enough rambling! Once again, thanks for being such an inspiration! جسارت بی نظیر شما در مواجهه با خطراتی که در بازگشت در پیش داشتید ستودنی است. تحمل چنان شتاب دهشتناکی و ضربه اصابت به زمین واقعا نیازمند انسانی از خود گذشته است. گرچه با پریدن بر فراز مامن انسانها، از او افتخار و بزرگی کسب کردید اما خواندن یکی از مطالبی که برای تو نوشته شده مرا چنان متاثر کرد که خود را در هیمنه میان افتخار از یک سو و وظیفه ابتدایی انسانی از سوی دیگر احساس کردم . او نوشته بود که گرچه همچون تو در رویای کودکی اش پرواز به آسمانها موج می زده است اما با دیدن انسانهایی که به بهانه های کوچک رویایشان رنگ حقیقت میگیرد، به خود اجازه نمیدهد بدنبال تحقق رویایش بر ابتدایی ترین وظایفش چشم ببندد. او از کودکانی می گفت که داشتن لباسی نو برای مدرسه برای آنان آرزویی دست نیافتنی است. هر کس که در ایجاد چنین وضعیتی که شریک بوده باشد، اما تکلیف انسانی از ما سلب نمی شود. .سوال اینجاست: انوشه که به سبب استعداد خدادادی و نیز پشتوانه مناسب به تمکین مالی دست یافته است به کدامین روش می تواند ندای صلح را در سرتاسر عالم فریاد بزند؟ آیا بهتر بود به هموطنانش در روستاهای محروم کمک کند و یا اینکه موجبات کسب افتخار برای خود و ایرانیان را فراهم آورد؟ پاسخ به این سوال بزرگ را تنها خود انوشه می تواند بدهد . تنها چیزی که من می توانم به آن اضافه کنم این است که علیرغم تصور همگان بر تفریحی بودن این سفر، انوشه با ایثار و از جان گذشتگی بی نظیری توانست از مرزهای انسانی گذر کند. شاید که او به روش خود در پی نجات بشر از حقارت بوده است. با تمامی این نظرات که در ایران بسیار شنیده می شود، چیزی از بزرگی کاری که انوشه کرد نمی کاهد.مطمئنم کسیکه بتواند از جان بگذرد درد انسانهای دیگر را میتواند با جان خویش بشنود. Wow what an amazing tale, welcome back and thank you for sharing your experience with us. I have always wondered what it was like on the inside, since we only see it from the outside….you are a brave woman, but you made the trip sound like a ride in a car…..keep up your great work, and I hope that there are many women waiting to do the same as you have done. i really admire u a lot..
you ara so nice to share all your amazing experience for all people..
hope u will not stop sharing..
اتمام موفقیت آمیزسفرت را تبریک می گویم و از اینکه تجربیات سفرتان را در اختیار مشتاقان گذاشتید از شما سپاسگزارم. با دیدن شما، تحملتون، ریسک پذیریتون، شجاعتتون، بلند همتیتون و آن لبخند زیبایی که بر صورتتان خالکوبی شده به وجد می آیم و مطمئن می شوم که خواستن توانستن است. برای شماآرزوی موفقیت روزافزون دارم و خواننده همیشگی مطالب شما خواهم ماند. vagean khoshhalam ke salem va sare halin…. age emkanesh hast mataleb farsi veblogetoon ro ham be roooz konin…mamnoon misham..
rasti ta yadam narafte…mishe begin mitoonin iran biayn..ya na…. hanooz ma darim be faza navardemoon minazim ha..makhsoosan to chat ba kharejiha…. همه ي ما در جمع خانوادگي و دوستان حرف تو را مي زنيم و از پيامهاي جديدي كه هرروز ميفرستي صحبت مي كنيم اي كاش ترجمه فارسي خاطرات سفرت را در وبلاگت زودتر ارسال مي كردي. پسران من مثل بقيه بچه ها دوست دارند كه آنها را بخوانند ولي هنوز به انگليسي آنقدر مسلط نيستند. دوست و خواهر عزيزم مي بوسمت و ازت انرژي مثبت مي گيرم. Hope you see you soon in Iran whereas you can not be permitted to visit your countrymen in a friendly sense. holy crap is this blog for real? What an incredible opportunity for people to voice their own words, their own oppinions, their own experiences. I love the idea of having “celebrities” of whatever sort do this opopsed to answering a billion and probably eventually annoying questions that can be reformated and changed to make it sound “good”. ANYWAY- point being- incredible. wow and what an experience. Thank you for writing in here. really interested in the future flights. I can’t wait for my 10 yr old son to read your blog. Thank you for what you have done. It was a great read. I am vey proud of you. GOOD JOB!!!!! Welcome back to the planet! And best wishes on your astronomy degree. I know several astronomers who became space travelers, but you will be the first space traveler to become an astronomer. Well done, your description was so real, thanks thanks thanks.This is weird but i was crying all the way through reading “the ride down”. You have had an experience that most of us will never have in this life time! But you sure made me feel like i was there. Again thanks and all the best in your future endevours. My sincere congratulations for your safe completion of your amazing journey! As you must be, I’m thankful that you did not also become famous for being the first “paying passenger” to die in space. But with every generation along that dark wretched road, there were a few bright sparks – male and female – that ignited and shone out in the gloom, and each brought a new insight – making a fire when you needed it, not just when lightning set a tree ablaze – a wheel – metalurgy – herding, not hunting – farming, not forraging … and lo and behold! at this moment in our collective history we look around us to see the wonderous culmination that sharing those insights and ideas has produced! And slowly but steadily the percentage of the world’s population that live in poverty has decreased …. The adage “Feed a man a fish and he only eats for a day, but teach a man to fish, and he eats every day” is what we’re talking about. Handing a million dollars to twenty poor people (dole it out however you wish … just don’t try giving one dollar each to twenty million people, ’cause there are “distribution costs”) does nothing to solve poverty in general. But igniting the imagination of twenty people (or twenty million people) can leap-frog us off this rock into a limitless supply of resources. “You Go, Girl!” Don’t waste a single minute on comments from the simple-minded. Your vision and dreams are drawing us all upward in your wake. wow! just wow! you are one lucky girl. wow! Congradulatioins and welcome home. I read your adventures with great interest. I know a loit of peopole say, ‘What a waste of money,’ but in my view, you did something that many of us wish we could do and experience. You serve as a insperation to all of us who09 one day might follow in your steps and enjoy the thrill that you had. Welcome home and thank you. You have seen more of Gods wonders with your own eyes and shared them with us. Thankyou for that. Thankyou for taking me to space. Thankyou for that feeling of unity. It’s in our hearts and you help us feel it. be sayyare madari khosh oomadin. shoma ba in karetoon bavare kheily az adama ro taghieer dadin (albatte dar jahate (+)va in mohemtarin lotfie ke mishe be ensanha kard. tasire in safar dar man vaghean ziad bood va shoma ye jooraiee ghahremane zendegi man hastin. congratulations ,i am so proud of you. With all the talk about Iran getting the bomb, I think many Americans view anyone from Iran with suspicion and distrust. It’s nice to have an Iranian present a positive image. Hopefully you can use your fame to improve the relationship between the USA and Iran. Congratulations! You made history, and thank you for sharing every moment of your wonderful adventure with us in a language that we could all understand. Thank you for opening space travel to all other females in the world. Good Job and Congratulations to you all! Hopefully you, as a woman, can convince men in government organizations all over the world to reach for greater accomplishments for the whole human race. welcome home from your extraordinary space travel and thank you very much for sharing your experience via blog. It excited me, and almost made me cry, and gives me thinking. Thank you for your sharing your wonderful experience. You were so generous with your thoughts and feelings. Space was always a dream of mine. It is always to remain a dream, but your descriptions made it seem so wonderful. God Bless you and your family. Also all the men and women who made your trip posssible. Congratulations! By sharing your flight with all of us, you have brought countless millions closer to following their own dreams. Think of this as not the end of your journey, but only the beginning. Hello and welcome back home. It was such a relief reading about your safe journey back home. Thanks again for sharing your experience with us. During this time that I have been reading your blog I have laughed and cried and felt a lot of different emotions. I wish you all the best. Welcome back 2 d beautiful earth….All of us are glad for ur safe return..And wat a timing , u returned in the holy month of Ramadan…well hats off to d lady who lived her dream..
Best of Luck for future..
hello 🙂 …hope u be fine and like always have 🙂 on ur lips.i always say that a little smile is not expensive for pay but just a 🙂 can changed every1 in good moods and show our heartfelt to everyone that make them in new refreshment ..dear Anousheh realy thank u that u share ur best moments vth world …today when i was reading ur blog u make me in tears bcaz i have good imagination and i thought i am there that can understand ur indescrible moment in every case ..realy u r speacial for us . by the way, now students in their books will read who is the first woman tourist in space ? and students should say :” an iranian woman Anoushe Ansari ” 🙂 and ur child will say to teacher : ” my mother ” 😉 🙂 … again thank u …good luck to u and ur family .. I can only pray that in the near future the countries and religions of the world could look past their petty differences and embrace each other as the God of our Universe wanted… as brothers and Sisters united under his rule and wisdom. Once again, thank you for giving hope to the children of our world and teaching them that all dreams can come true with hard work and faith. First, adding ‘in my opinion’ would be nice ( as in : “nothing really worthwhile in my opinion” ). Then, millions of people waste money on nothing really worthwhile every day, every minute. Next time you buy yourself a cup of coffee or indulge in some chocolate or go to see a movie or get some cosmetic surgery done or buy jewelery or put some flowers in your garden – think again : how many poor children could have a meal instead of you getting yourself a cup of coffee ? Or instead of yourself getting a TV some family could have a shelter to hide from rain and snow ? And do not tell us it is hard for you to do anything ‘cos you do not happen to have $20 mil – you can donate online these days, it is one click away, lots of choices there. So .. really. Next time someone with the urge to whinge about $20 mil wasted look at yourself first and maybe even do something. Or send a letter to your government demanding to stop wasting billions on arms race and help poor people instead. For once someone has done something that affects lots of people around the world – educational, if anything ( inspirational for many, too ). Just because previous three space tourists ( smartly ? ) did not have blogs does not mean you should attack this one ..
Oh BTW .. Soyuz may not look like a pretty plane ( ‘ridiculous’ as someone put it here .. Shahram ? ) but it is designed to take people to orbit and bring them down to Earth safely without falling apart at launch or during re-entry, relatively cheaply, which it does time after time after time ..
You make us, little women, very proud. What an extra-terrestial experience you have been through! Will you do it again? Will you take a loved one with you next time? Best wishes to you and I hope to hear more of your adventures. به زمین خوش آمدی ، شما افتخار ملت ایران هستی ، همیشه سالم و سبز باشی . Congrats 4 ur wonderful trip.d way u hv describd ur xperience really deserves applause.thnx 4 sharin dese.waitin 4 som more xperiencres frm u abt space. khoshhalam ke salem o salamat be khoone bargashtin. ba khoondane khateratetoon, larzidam o ashk rikhtam az hayejan o khoshhali. vaghean ghebte mikhoram be shoma va tabrik migam be khatere movafaghiatetoon dar zendegi. az khod amikham roozi man ham az space benevisam. I’m very proud of you. In fact,Iran’s people are very proud of you.You are the representative of Iranion intelligent people.I admire you because of your intelligence and perseverance.I hope you achieve all of your nice goals. Very cool. I am 57 years old and I have always wanted to go into outer space…after reading your blog, I now feel I have. welcome back to our beautiful Earth! I went thru your simply and unbelievable detailed description of Ride Down! This is “simply” INCREDIBLE!!! I hope to meet you together with Eric sometime in a somewhat event around the World especially dedicated to your Space Flight. As Tina Turner’s sang: “You’re Simply The Best”. wow you must of had a great time up there . I hope you had fun .i would of never hurd of any body that would spend that much money to go on a space ship. well i have to go now hope you had fun . 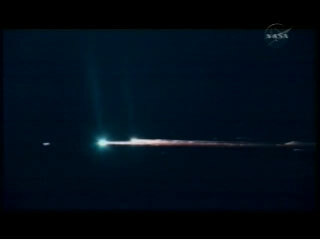 that sounds like you had a wonderful time up in space i wish i would do that well thaxs for sharing your expirence!!!! THANK YOU for being the first HUMAN in space. As a society, we have waited a long time for this day to come. Thank you for what you have given us during these past two weeks. Your arrival at that station was as significant as mankind’s first steps on the moon. تو سمبل یک خانم تما عیار ایرانی هستی! از اینکه هنوز وطنت را بر قلب خود می نهی افتخار انگیز است. حتی معنویات تو و مقایسه آسمان با کعبه و بیت المقدس نشان روح بزرگ و صلح دوستت را تبلور میکند به امید آنروز که همه بفهمند در این کرهء خاکی برای همهء ما جا هست و دوستی زیباست و دشمنی ناشایست! Welcome back to earth – I could not get my eyes off your blog with your stories and all the comments – it is beautiful. I hope we get a chance to see you when you come to DC. Bozorgi kari ro ke anjam dadei, khodat behtar az har kesi midani. You are a superb writer. I almost was inside the monitor when I was reading. I felt like I had travelled with you! There is a reason people are poor. Its because of the choices they made. Its not because nobody helps them! C’mon loosers always blame someone else for being a looser. Iranian people have a choice, but they don’t want to sacrifice or do anything about it! Well, Billion’s of dollars would not help Iranian people’s problem either! Its time to choose and take some risks and do something about it. Freedom dosen’t come free! Why do you think America is great? Because they choose to be GREAT. Right on Anoushe, you’re a fantastic shooting star. Welcome back ma’am. you boldly went where no Irani has gone before! I’m definitely interested in joining your space projects. A big fan of sub-orbital flights, I’ve been following your Xprize project from the on-set. Certainly appreciate if you shed light on how to join your space club…I have a dream too! if you had 22 mil. why wouldnt you just bye a rocket!! This story To Be Continued …. …. and then what happened?